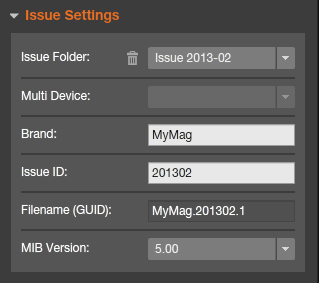 When you work on an issue in the Mag+ Production tool, various options will change how the Issue behaves in your app. This article covers options available in the Mag+ Production Tool. The Clipboard area displays Verticals that have been exported from the Mag+ InDesign Plug-in but that have not been associated with an issue. Dragging the preview of a Vertical into the Issue area will associate the Vertical with that Issue. You may change the sort order of unassociated Verticals by using the Order By... drop-down menu on the right-hand side of this area. This tab shows you larger previews of the Verticals. This tab changes the display of the Issue Area to a spreadsheet-like list view which will display the Vertical name, ID, MIB version, and Device. You can sort verticals in this view by clicking on the column headers for Name or ID, and they will sort alphabetically. This tab shows the top thumbnail of each vertical in multiple rows so you can see more of the issue at once. The Zoom control increases or decreases the size of the preview images associated with Verticals. As of v4.2, Mag+ can create an overlay layer on top of an issue. Check this box to have the overlay layer show up on all the preview images here in the Production Tool. Note: To use this feature, you must use the multi-device export option in the Mag+ InDesign Plug-in. You also must have multiple device issue folders loaded in the Issue Settings panel. Use this button to copy the order of Verticals from one device to another. This saves time if you want the order of your Verticals to be the same for every device that displays the issue. Pressing Copy Issue Data will list the devices present in your Issue folder structure. Check the devices you wish to copy to. Note: If the selected device issue folders do not contain all the same Verticals, a warning appears. You may choose to dismiss this warning and the Production Tool will order the Verticals that are present. If your exported Verticals do not appear in the Clipboard Area, you may press this button to force a refresh of the display. This button will also update the display to show changes made to a Vertical that has been re-exported. This button saves your Issue. It lights up green when there are changes that need to be saved. You may also press Cmd + S (Mac) or Ctrl+S (Windows) to save. This button generates a temporary MIB file of all Verticals in the Issue and pushes it to the Review Device selected in the drop-down menu. Note: Your Review Device must be turned on and the Mag+ Reviewer App running in order to push review files to it from the Mag+ Production Tool. This button generates a temporary MIB file of selected Verticals in the Issue Area and pushes it to the Review Device selected in the drop-down menu. Select the Review Device from this drop-down menu where you want to push previews of your Issue. The Review Selected and Review All buttons push temporary MIBs to the device selected in this menu. You can hit the refresh icon to have the Production Tool look for any active Reviewer apps on the same network, or manually enter an IP address of your device. This read-only field shows you the device that the currently displayed issue is targeting. This tells you the size of the generated MIB. 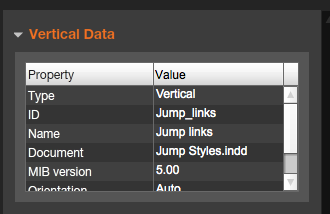 This panel displays read-only properties for Verticals selected in the Issue area of the Mag+ Production Tool. Hovering over a property may display additional information such as the path to where the associated document is stored. Configuring Issue Settings is covered in-depth in the article entitled Setting up the Mag+ Production Tool. Various options in this panel are explained below. This is where the Mag+ Production Tool exports your verticals as MIB files. Click the Trash icon to delete an Issue Folder from the list. Note: Be sure this setting points to a root Issue folder, not the Verticals folder inside of it. If using the multi-device export feature from the InDesign plug-in, again make sure that this setting points to the root Issue folder, not the Device issue folder within. If a multi-device Issue Folder is selected above, this menu automatically populates with device-specific folders it finds inside. Use the drop-down menu to switch between devices. Enter the Brand Name you have defined for the issues you are creating. This can be any string of characters you like and is only used for naming the MIB file. See Setting Up the Production Tool for more information. The issue ID identifies issues from one another and must therefore be unique per issue. Suggested naming conventions include date (year, year and month, year and week, etc) as well as a designated issue number (e.g. YYYY_Nbr or YYMMnbr). The Issue ID is used in your GUID which is not visible to the public. A new, unique Issue ID must be set for each new issue, but is shared between device-specific versions. For example, do not change the Issue ID if you are simply creating a Retina or Android version of the same issue. This displays the GUID of your MIB. It is automatically generated from the Brand and Issue ID and a sequence number. This is an internal identifier and used by the Mag+ Publish portal to verify and serve the MIB to devices. All MIB versions upload to an issue in Mag+ Publish must be created using the same GUID base (Brand and Issue ID) but require a unique version number. Note: As of Mag+ 4.2, you may double-click this field to manually edit the GUID version. When using the Create MIB button to generate MIBs for different devices, the Mag+ Production Tool will version each of them automatically. Unless creating an issue for an older Mag+ app, always select the latest version in the drop-down menu. If creating an issue for an older Mag+ app, select the MIB version that corresponds to the version of your live app. App versions read MIBs of the same version number and lower. Here you can see for which device the verticals have been created. Note that if this says "Mixed Devices" Publish will not accept the MIB as you have a mix of iPad standard and retina verticals in the issue. Here you can set an override orientation. If you want your whole issue to only be viewable in either portrait or landscape select those options. 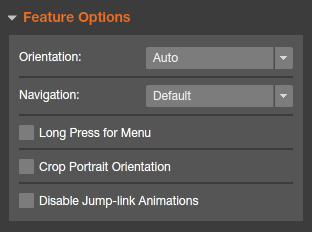 If you select auto, the orientation will be according to the settings used in the Plug-In. 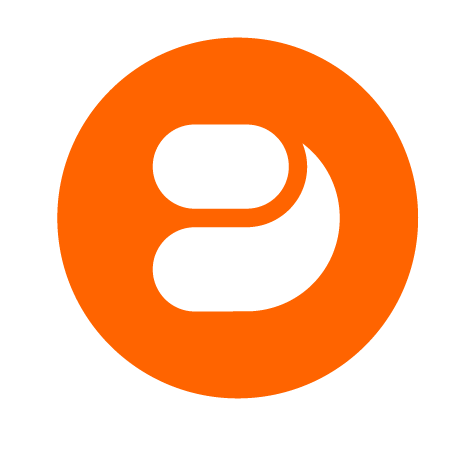 Default: Users can navigate an issue and go to new verticals by swiping left and right. Tapping the screen will bring up the app menu (Store, Library, etc) as well as the thumbnail scrubber. You can choose to turn off either swipe or turn off swipe and the scrubber. See this article for more. Per default the menu and scrubber in the app is activated by a single press or a long press on the device screen. Here you can choose to only have the long press activate the menu and scrubber. This feature is available for MIBs and apps version 3.2 or later. As of v4.2 iOS apps, you can choose not to have a "page flip" animation when a user taps a jump link to go elsewhere in the issue. Instead the new destination will simply load in place. Checking this box will affect all jump links in the issue. The External Review panel allows you to browse MIBs placed on a server that is specified in the Mag+ Production Tool preferences. Please refer to the article Mag+ Production Tool Preferences to see how to set-up an External Review server. You may upload your Issue to the External Review server by using the Upload button. This button creates a MIB file of your currently displayed Issue in your Issue Folder. The filename is automatically generated from the Brand, Issue ID, and version of the Issue. The generated file should be uploaded to the Mag+ Publish Portal to distribute to apps. If you are using the multi-device export option from the Mag+ InDesign Plug-in and have multiple device issue folders, the Create MIB button displays a dialog box that allows you to create all the MIBs for all of your devices at once.